Around the Spiral with Edward Lifegem: Around The Spiral's Old Headers: How Many Do You Remember? 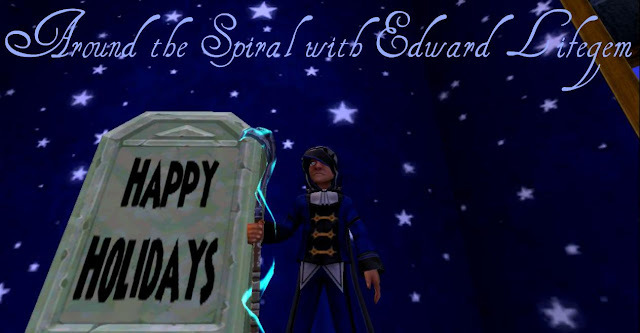 Around The Spiral's Old Headers: How Many Do You Remember? I wasn't planning on making a Birthday themed post this early, but I decided to make this post early as a Throwback Thursday sort of post! :D Most of you know that I've been making posts for awhile, and with the well over thousand posts that I've made, I've also had different headers. I wanted to make this short little post with the headers and ask you a nice question. Of the ELEVEN below, how many of the old headers (yes many are missing) do you remember seeing when reading my website?! Comment below! #Pirate101Lives: Valencia Part 2 Confirmed! Major Changes: TV Show Review Blog!